The #2 Dutch 14x48 single wide is a cute little 640 square foot 2bedroom and 1 bathroom home. This home is priced to sell and would great for a starter home or a relative that would like to move closer to home. This would also be a great little weekend get away home. Come by Ozark Homes to see this home in person. The #3 Dutch 16x80 single wide has some really neat features that make this house unique. This home is a 2 bedroom and 2 bathroom home which is about 1,072 square foot. 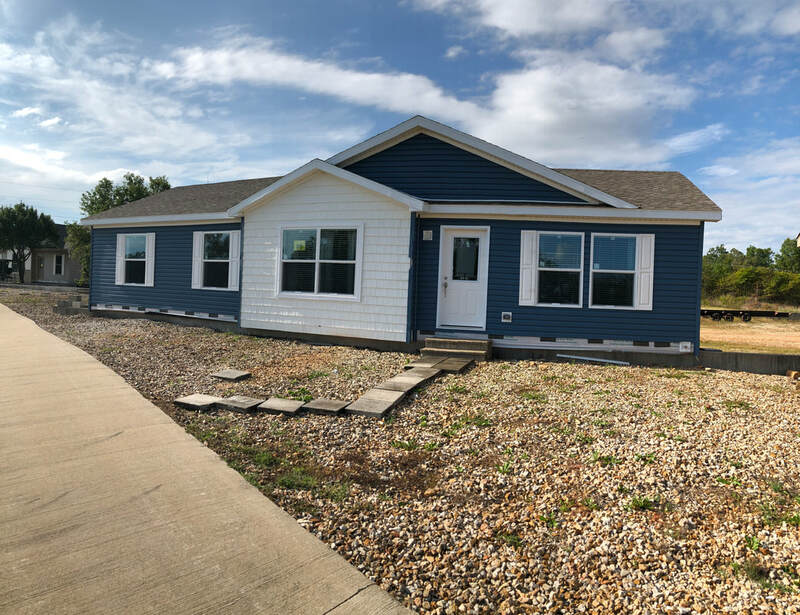 This home features a 6' covered porch on the front of the home which is a great addition to this single wide. This Dutch home also features a dormer with shake siding to break up the length of the home. Inside we show off Dutch's beautiful Hickory cabinets with a rustic wood style linoleum flooring. The linoleum runs throughout the entire home except in the bedrooms. The bedrooms are the only room in this home that has carpet. 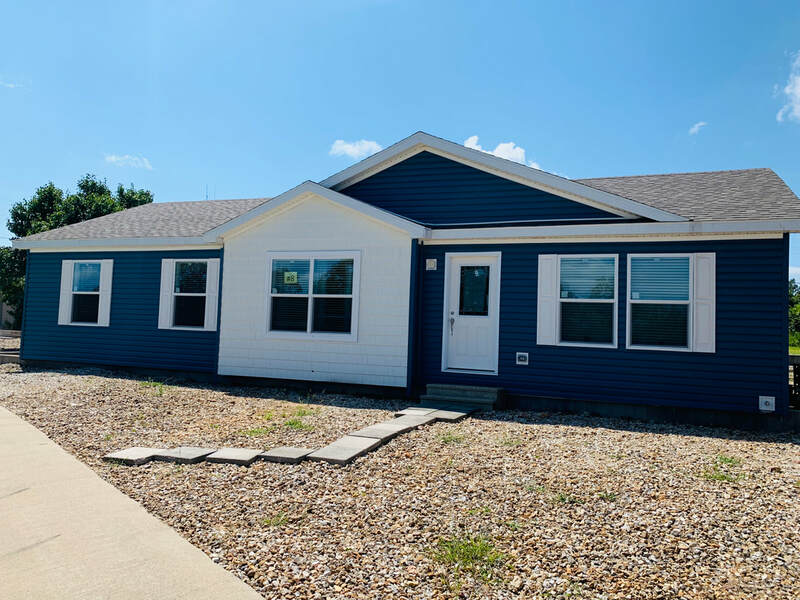 #4 Skyline Manufactured Home-SOLD this home is still available for viewing. 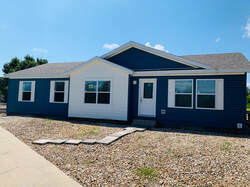 #4 Skyline Manufactured Home is a 24x48 with an 8 foot covered porch. This house is a 3 bedroom and 2 bathroom that is about 1,150 square foot. This Skyline features the dark espresso cabinets with a very open front end living room, dining room, and kitchen. This Commodore Modular home is a three bedroom and two bathroom. The Birch floor plan is 1,280 square foot and features the Mission Flat Panel Oak cabinets that are 42" which run to the ceiling and a full mosaic back splash. This display home also features the walk up attic and a 7/12 roof pitch. The #6 Commodore Ultra 7 is a new floor plan from Commodore Homes. This home is a 28x68 which measures about 1,860 square foot. The Ultra 7 is a 3 bedroom and 2 bathroom home with a large spacious kitchen and a formal dining room. This home features 9 foot ceiling which really makes this home feel larger than it is. We also have a new PVC plank floor in the kitchen and dining room. One of the neatest features of this home is there is a sun room on the back side of the home that is built into the floor plan.This home is coming soon and not yet finished! #8 Hazelnut is a 28x52 modular home which is 1,387 square feet. This is a 3 bedroom and 2 bathroom house. This house features two brand new cabinet colors that Commodore came out with in 2018; the Shale Grey and the White cabinets. The wrap around island is a great congregation area for family nights or hosting gatherings. This house features a 4x6 tile shower in the master bathroom! Also inside the master bedroom you will find a large walk in closet. This is a must see and brand new home for Ozark Homes! #9 Commodore Bellevue: The Bellevue is the most popular floor plan we have sold in years! This is a beautiful 3 bedroom and 2 bathroom home that is 1,750 square foot. This home features Commodores Hickory cabinets and is paired with the soft close cabinet option as well. This display home also has the solid core hickory doors and the natural stained trim package throughout the entire house. The master bathroom is a very luxurious with the tranquility option which includes the 4x8 tile shower with duel shower heads and the larger of the soaker tubs. This home is a must see to really understand the quality!